I am sure I don't have to say it, but it is extremely hard work being a mom - so just in case you are feeling alone in that today, fear not. Most moms know that it is hard, but there are times when we need to be encouraged to take a breath and acknowledge the difficult. Then there are times when just telling yourself that fact doesn't cut it. That is when it is a good idea to have the words of other women to encourage you. 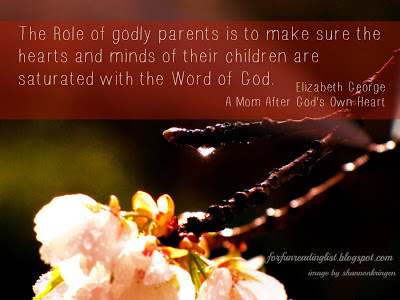 And that is why I wanted to pick up Elizabeth's book, A Mom After God's Own Heart. I had been told Elizabeth is extremely encouraging and straight to the point when it comes to her books to mothers. And I'll be honest, in those moments when I feel like I'm standing in the middle of a highway taking hit after hit as I mother through difficult times, I don't want any sugarcoating - just give it to me straight! So I jumped into Elizabeth's book with two feet - ready to soak in whatever she might have to offer this mama. And what words jumped out to me? Then to clarify the statement there is a list of little actions that be implemented right away to impact both myself and my littles. The goal is always to realign your heart and then allow your actions to follow - what an important point. So often the focus is on the action, and the heart part, well there just isn't enough time to always consider it. But if I'm going to make the impact I desire on my kids, I need to make sure my heart is the focus, because that is where all my actions will flow from - I simply will have to make the time. Luckily Elizabeth understands that us moms are pressed for time, so she the steps carefully - she focuses in on daily Bible time, prayer times - for both moms to do alone to refresh and to do with their kids. Even better, there are examples of how to pull a verse out the Bible and turn it into a prayer - what a powerful tool. The only hang up I had with this book, was that at times the enthusiasm was just too much. 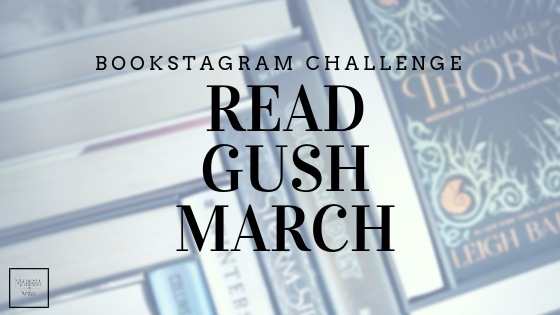 Don't get me wrong, I want the encouragement, I just was a little overwhelmed at times... totally a personal preference when it comes to writing styles. And it didn't keep me from reading every page and soak in the great points of looking to the Biblical mothers for inspiration (specifically Mary and Timothy's mother). Overall this book was a great book for me, it allowed me to soak in the wisdom of another, and feel energized at re-focusing my daily job as a mother who wants to train up her children. Sure to some this book might preach points that ring old-fashioned, but I'm not so sure that is a bad thing at all. If the goal is to align your heart with the heart of God, this could be a book, as a mom, that you will want to add to your collection. Have you been having a hard time getting your actions to seem productive or genuine? Could you be acting without checking the motive of your heart? Are you, like me, acting first and then realizing your heart wasn't in the right the place? If so, grab this book and allow your outlook to be changed. Have you read A Mom After God's Own Heart? What did you think? What points stuck out to you? Let me know, I'd love to compare thoughts! Want to add this book to your collection? 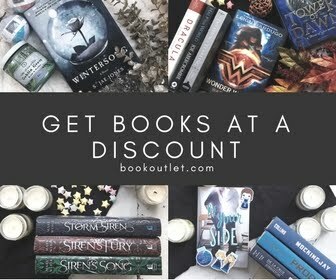 Consider using my affiliate link and support Reading List in the process! Linked up with the following fun hops!